Children (ISSN 2227-9067) is an international, open access journal dedicated to a streamlined, yet scientifically rigorous, dissemination of peer-reviewed science related to childhood health and disease in developed and developing countries. The publication focuses on sharing clinical, epidemiological and translational science relevant to children’s health. Moreover, the primary goals of the publication are to highlight under‑represented pediatric disciplines, to emphasize interdisciplinary research and to disseminate advances in knowledge in global child health. In addition to original research, the journal publishes expert editorials and commentaries, clinical case reports, and insightful communications reflecting the latest developments in pediatric medicine. By publishing meritorious articles as soon as the editorial review process is completed, rather than at predefined intervals, Children also permits rapid open access sharing of new information, allowing us to reach the broadest audience in the most expedient fashion. 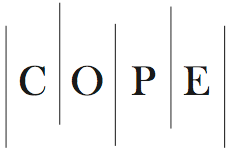 Children is a member of the Committee on Publication Ethics (COPE). MDPI takes the responsibility to enforce a rigorous peer-review together with strict ethical policies and standards to ensure to add high quality scientific works to the field of scholarly publication. Unfortunately, cases of plagiarism, data falsification, inappropriate authorship credit, and the like, do arise. MDPI takes such publishing ethics issues very seriously and our editors are trained to proceed in such cases with a zero tolerance policy. To verify the originality of content submitted to our journals, we use iThenticate to check submissions against previous publications. MDPI works with Publons to provide reviewers with credit for their work.